The Microsoft Azure Linux Agent, similar to the Windows Agent, is the connection between the host and Azure Management. This small but important agent enables monitoring, password reset, patch management and much more via the Azure Portal. It is similar to the HyperV Integration Services or VMware Tools. They should be installed on-premise on the guest systems to get the best performance possible within the virtualization. It also happened that subsequent changes to the SWAP space or the login data were not carried out correctly. 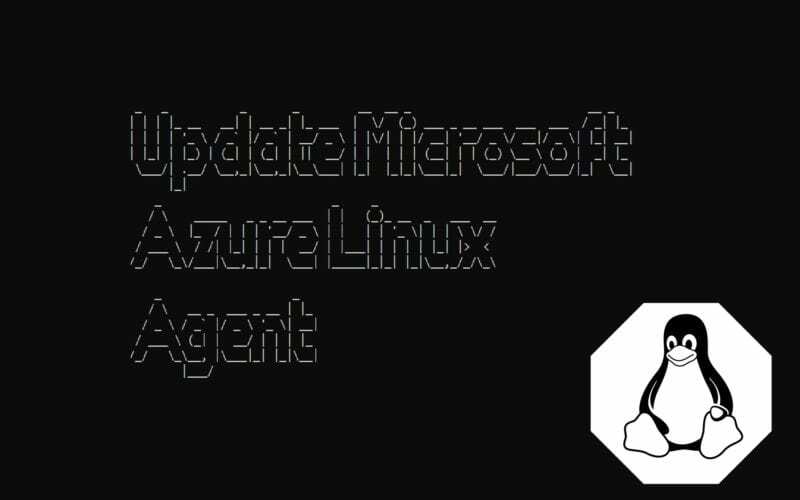 Therefore I recommend to update the Azure Linux Agent while patching the Linux system, which should be done regularly for security reasons anyway. Normally the updates come with the respective repository, but it would also be advisable to check the installed versions with the GitHub Seite des WALinuxAgent.